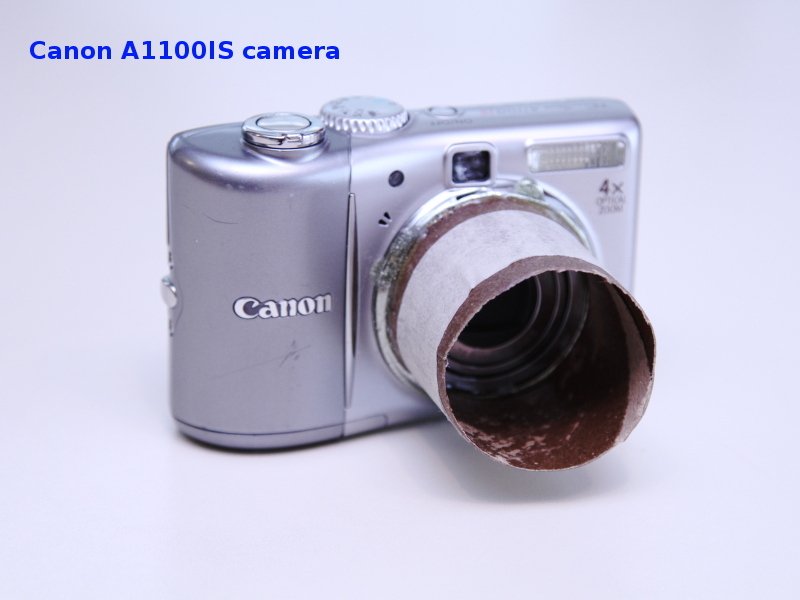 My camera was point-and-shoot Canon A1100is. I epoxied cardboard tube over the camera lens so that it could stick out through the walls of the box. Step 1. Used “STICK” utility to format the SD card and install CHDK onto it. Step 2. My SD card was 16GB, so STICK created two partitions: one for CHDK and one for photos. I used “WASP” utility to swap the two partitions and make the right one visible to Windows. Step 4. Swapped partitions again, made SD card write-protected, and put it into the camera. Step 7. Tested it. Once the camera is switched on, it automatically loaded the script, extended the lens, and started shooting every 5 seconds. After 3 shots, it turned off LCD screen to save power. It continued shooting until it ran out of batteries or disk space on SD card.